Do you follow a plant based or vegan diet? 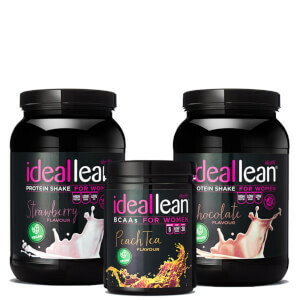 At IdealFit we believe that following a plant based diet should not come at a cost of taste and that's why we've worked on creating the best tasting vegan protein & bcaas to support your fitness goals. ✔Only 115 calories per serving. This deliciously indulgent and all vegan chocolate protein, will curb those cravings with natural cocoa and help you reach your goals. 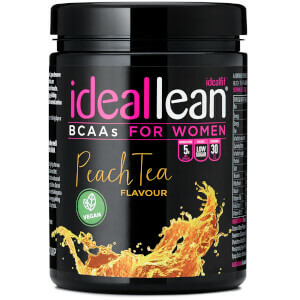 Our refreshingly delicious Peach Iced Tea Vegan BCAAs are all plant-based and come with 5g of essential amino acids. 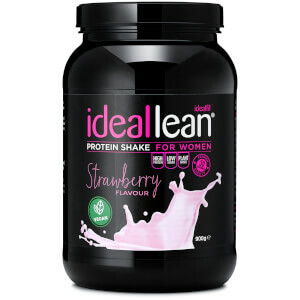 With natural strawberry flavours and 21g of pea, hemp and rice protein, our IdealLean Vegan Strawberry Protein is a must for your gym bag this year. Going vegan doesn't mean giving up your favourite desserts. Why not try our delicious, high protein alternatives using our brand new IdealLean Vegan Range. The 'New Year, New Me' regimes have officially begun and there's one trend that everyone's talking about: Veganuary. We're sharing our top tips for sticking to it this month!